A dedicated learning unit has been launched by Gaelic educational resource organisation Storlann Naiseanta na Gaidhlig aimed at celebrating the contribution Runrig have had on the Gaelic language over their lifespan. 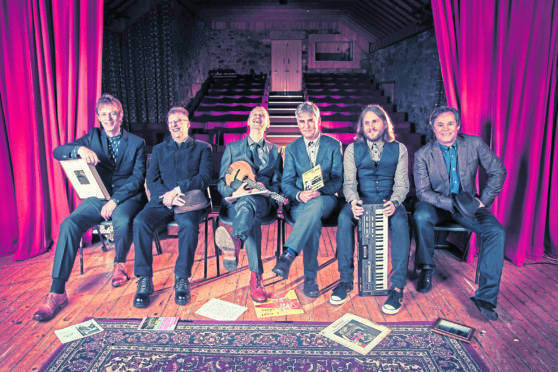 Storlann chief executive Donald W Morrison said: “Storlann is delighted to acknowledge Runrig’s significant contribution to the regeneration and development of Gaidhlig language and culture. Last month Runrig brought down the curtain on a blistering 45-year career with two jam-packed final shows at Stirling’s City Park. The launch of the new Gaelic unit also took place in the city at Wallace High School. Participants will break down nine of the band’s songs and analyse their literal meanings, with a project also being offered where participants can showcase themselves to becoming the next Calum Kennedy through the penning of their very own Gaelic song. The idea for the unit inspired by the Gaelic rock band has come from teachers through a panel who advise Storlann on areas in which to explore to take the teaching of the language forward. Mairi Macritchie, project officer for Storlann, has been tasked with developing the unit alongside another teacher. She said: “It’s definitely something that the secondary teachers will find useful. I think it’s a sentimental piece of work as well because we didn’t have anything like this up until now on Runrig, just the collection of their work. The unit is available online through the Storlann website and has already been downloaded more than 350 times. It is not the first time bizarre local topics have found their way into our educational establishments teaching methods. 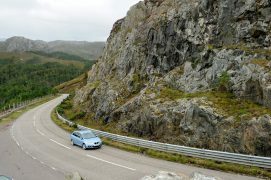 Earlier this year the University of the Highlands and Islands (UHI) invited applications for a brand new PhD course studying the North Coast 500. The North Coast 500 route through part of Wester Ross. Applicants were briefed that the successful candidate would embark on a three-year course, which is due to get underway next month, documenting stories and information about heritage sites, objects and landscapes around the north that would amalgamate into a brand new digital app for tourists. Similarly, and possibly even more bizarrely, The London South Bank University offers a Bachelor Honours degree in Baking Science and Technology. However, if you fancy yourself as a bit of a funny person then the University of Kent is the venue for you. You can get a stand-up comedy master's degree at the University of Kent. The educational establishment in the south east of England is offering a Masters course in the art of stand-up comedy, where students will “study the theory and practice of stand-up comedy at postgraduate level.” Students are expected to analyse, write and perform their own material, and also engage in comical theories through workshops and seminars. Alternatively, you could study a more run of the mill degree – but where’s the fun in that?